Smoking or Vaping – Which Is Worse For Your Teeth? It is very commonly known that smoking has numerous detrimental effects on both your dental health and general health. Despite bans on advertising and smoking in public places, it’s something that’s still very common. Some people who give up smoking turn to nicotine patches or gum. Many have switched to vaping. However, is vaping better for your oral health than smoking? Because vaping is still relatively new, there are no comprehensive long term studies yet that can give definitive evidence, as in the case with smoking. -Better blood flow – increased bacterial build up during smoking reduces blood flow. This should be improved with vaping meaning dental tissues will be healthier and heal better. It’s too early to make a definite decision, however on current evidence it seems vaping is better for both your dental and general health, especially as there is no tar and you could choose to vape without nicotine. Regarding general health, there are many conflicting studies – some finding vaping is safer than cigarettes and others finding it could be just as bad. 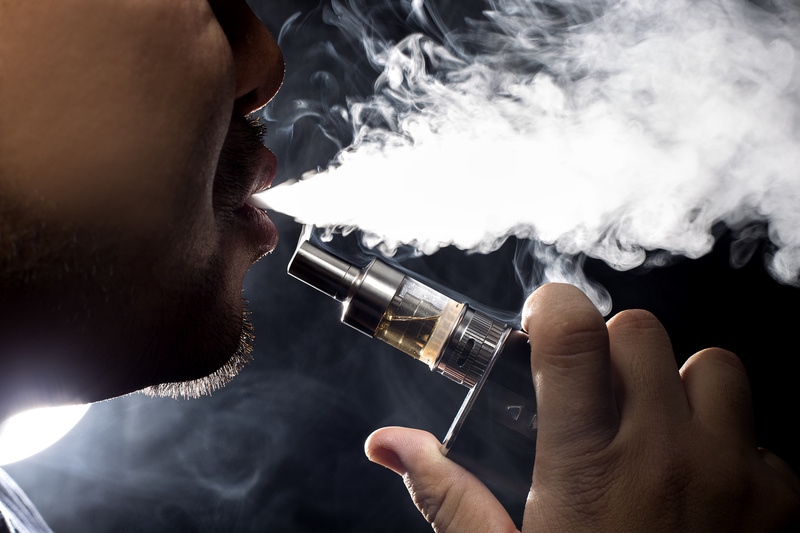 Ideally, the best situation would be to use neither product, as vaping still significantly increases the risk of mouth cancer compared with non-smokers. What is clear is that vaping does lead to a dry mouth, which could increase the risk of dental decay, so if using an e-cigarette ensure you stay hydrated by drinking plenty of water. Also, if using nicotine, there is an increased risk of gum recession. Should Mouthguards Be Worn For Sports? Should I Use Charcoal Toothpaste To Whiten My Teeth?